Vitamin D has been reported to have a wide range of benefits. However, a recent case study shows that excessive use of vitamin D can cause kidney damage in people who are not deficient in the vitamin. The article was published online on April 8 in the Canadian Medical Association Journal . "The purpose of this case study is to inform a wider audience that high-dose vitamin D [10,000 IU daily] in patients with normal serum vitamin D may lead to toxicity," first author Bourne Auguste, MD, University of Toronto , Ontario, Canada, told Medscape Medical News . "The public should know that taking more vitamin D than recommended does not necessarily lead to additional benefits. It can rather lead to increased damage and especially kidney failure," he added. 0 guidelines from osteoporosis Canada recommends 400-1000 IU of vitamin D daily for most adults and 800-2000 IU daily for older adults and those at increased risk of osteoporosis. US recommended daily intake of vitamin D for men and women between 1 and 70 years is 600 IU daily and 800 IU for those over 70 years of age. Because vitamin D has a wide therapeutic range, toxicity is rare, Auguste and co-workers note. However, as a fat-soluble vitamin, high doses of it for long periods can lead to buildup. "Many patients think of vitamin D as a single supplement without harm and perhaps historically exaggerated benefits," Auguste said. "Considering that it is so readily available in various over-the-counter formulations and the perception that it has many benefits without harm, other patients [besides the one in this case study] may be at risk of D toxicity and potential renal failure." Toxicity of vitamin D has a wide range of symptoms that can delay the diagnosis. These symptoms include fatigue, high blood pressure, frequent urination, confusion and itching. Early recognition of vitamin D toxicity can prevent chronic kidney damage. "D-toxicity in vitamin D cannot be recognized for a long time because of the unspecific symptoms patients may have when presenting. Patients can take over-the-counter supplements without full disclosure," Auguste explained. 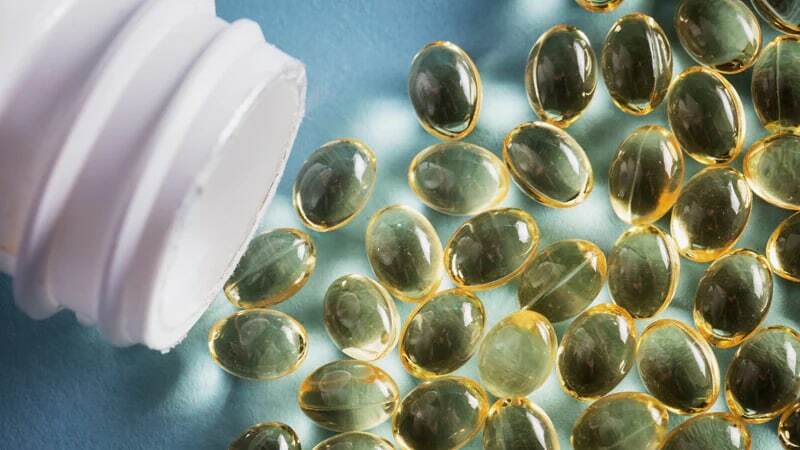 Management provides a careful review of prescription and over-the-counter medication, limitation of sunlight exposure, decreasing diet and supplemental sources of vitamin D, and monitoring of vitamin D content in asymptomatic patients. Because it is fat soluble, it may take several months for the levels to return to normal. In addition, calcium levels may continue to increase before reversing.
. "Clinicians should also consider supplemental treatments without discontinuing vitamin D and calcium supplements such as hydroxychlorokine, glucocorticoids and ketoconazole in those patients who are symptomatic of reducing the active form of vitamin D in the body," Auguste advised. The reported case concerns a 54-year-old man who had recently returned from a trip to Southeast Asia, where he had spent a longer sunbathing (6-8 hours a day in 2 weeks). Upon returning to Canada, a family doctor found that his creatinine level was elevated (132 μmol / L from a 100 μmol / L baseline). Four weeks later, the patient's creatinine level was even higher (376 μmol / L), although treatment with antihypertensive drugs and diuretics was discontinued, which could have caused dehydration and elevations in creatinine. He was referred to a renal specialist. Further questions were revealed that the man had seen a naturopath who had prescribed high doses of vitamin D. Despite no known history of bone loss or vitamin D deficiency, 8,000-12,000 IU of vitamin D were taken daily for 2.5 years. Work-up revealed hypercalcemia ionized calcium, 1.48 mmol / l and elevated levels of vitamin D (1,25-dihydroxyvitamin D3 level, 274 pmol / L; 25-hydroxyvitamin D3, 241 nmol / L). Renal loss results showed kidney damage (nephrosclerosis and microcalcifications without sarcoidosis or light chain deposits). The nephrologist advised him to stop taking vitamin D supplements and stop eating calcium-containing foods. His diuretics remained on hold and the patient resumed taking an antihypertensive drug. At the second visit, the doctors found that his levels of 1,25-dihydroxyvitamin D3 (the biologically active form of vitamin D) and calcium were still increasing. The patient also described novice skin itching, probably due to his high calcium levels. The patient refused to receive glucocorticoids due to weight gain concerns. When starting hydrochlorchlorquin 400 mg daily, its calcium and vitamin D levels decreased. Almost one year later, his calcium and vitamin D levels returned to normal, but he has stage 3B chronic kidney disease. The authors have not provided any relevant economic conditions.